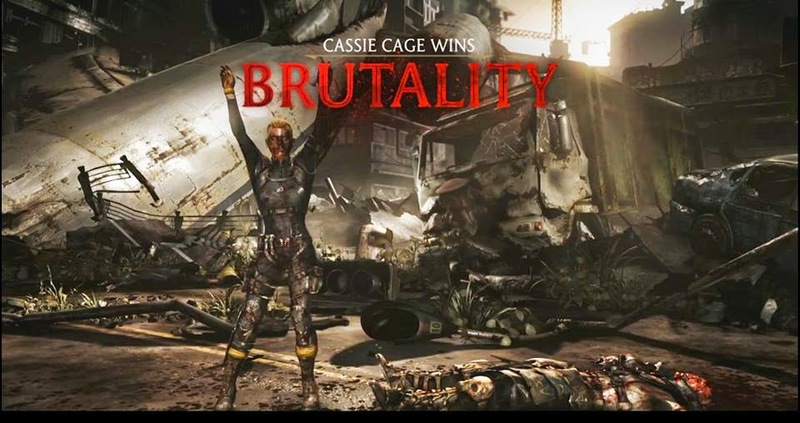 Dr Jengo's World: Mortal Kombat X Brutalities showcased! Brutalities for Mortal Kombat X have been revealed! According to the video below, there's going to be over a 100 Brutalities in the game, with some form of requirements needed to perform the Brutality. Not what I expected of Brutalities, but it still looks like fun. Lots of details regarding Brutalities and of course, there's several Brutalities shown in the video below! At 26:12, there's a subtle hint of who Sub-Zero is.. Kung Lao's intro speech. "A dead man walks..". I'm slowly starting to suspect that this Sub-Zero is actually Bi-Han and not a new person. This character's voice is also deeper and more rugged for Kuai Liang. I'm thinking that Bi-Han was resurrected again and he has become Sub-Zero. So where's Kuai Liang? In the MKX comics, there's a Sub-Zero as well, who was attacked by the Kamidogu by Kano. I'm guessing that is Kuai Liang. So what about Noob Saibot? Bi-Han was the original Noob Saibot so maybe they will switch roles now? Kuai Liang becoming Noob Saibot. To be honest, I have no clue and I'm just throwing out guesses. There's a rumour that we will see a story trailer with reveals of a lot of characters very, very soon.. with some fan sites saying, even as early as tomorrow! I'm going to be looking forward to this! Edit: Added the Brutalities teaser trailer for those who don't have the time to watch the full video above. You can thank me later, Leon.